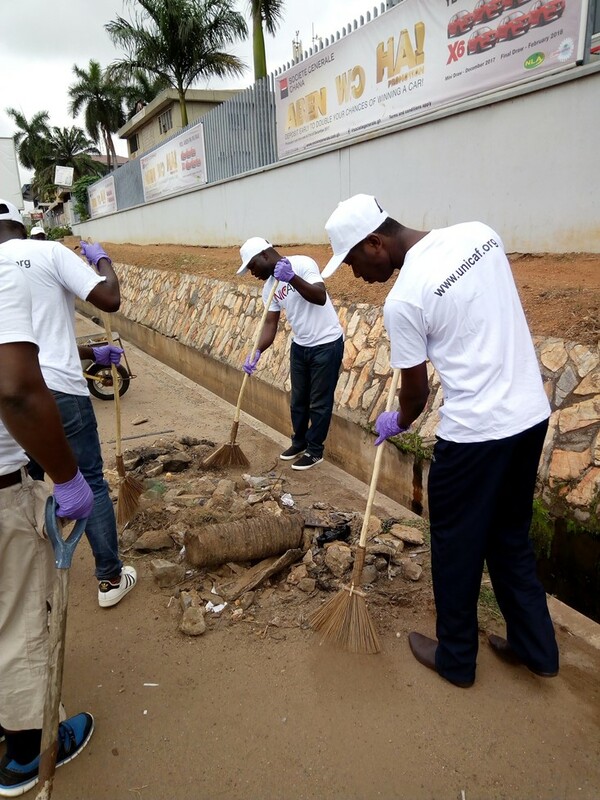 14 enthusiastic UNICAF students joined forces with members of staff in the clean-up of the Ring Road, aiming to help their city look and feel clean and nice for its citizens. Ring Road is one of the busiest streets in Accra and the students’ activity was witnessed by hundreds of passers -by who cheered them on. 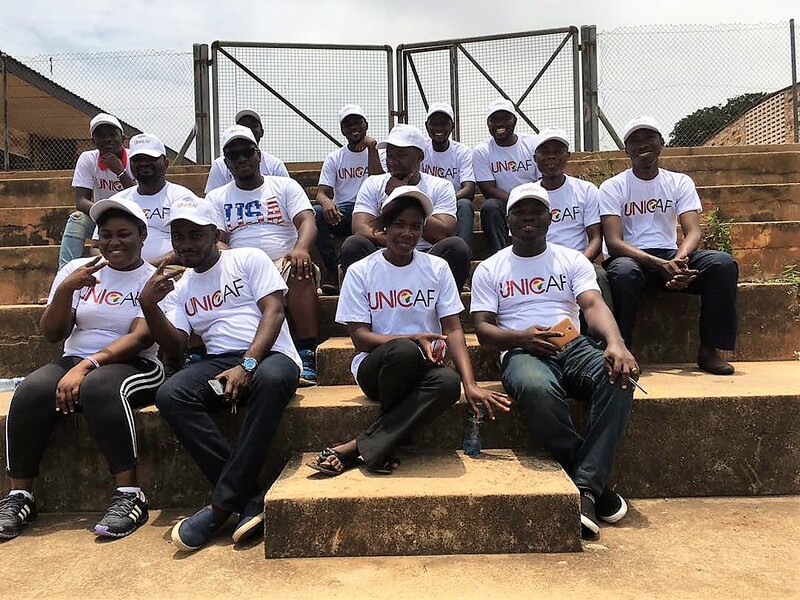 After the hard work of cleaning out stones, weeds and general rubbish, students sat down to a delicious picnic lunch, courtesy of UNICAF and had the opportunity to talk about their studies and future plans, and to network with one another. 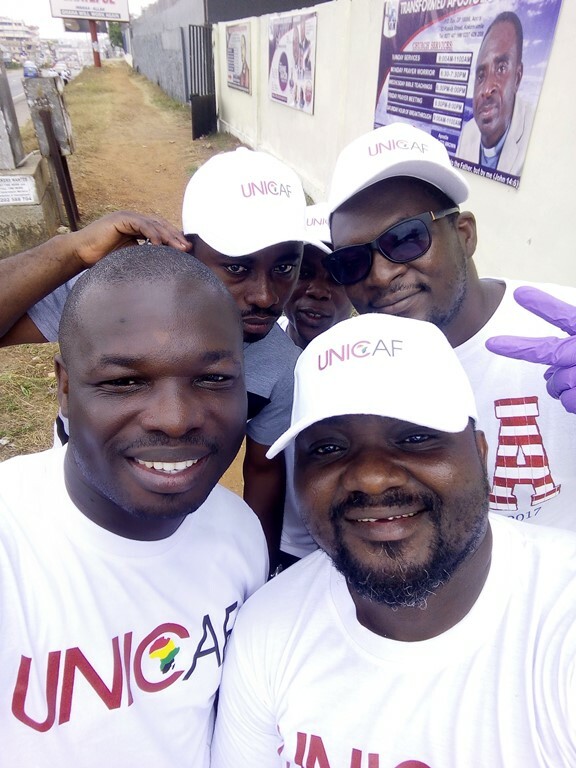 UNICAF Business Manager in Ghana Keneth Frimpong thanked them all for their kind participation in this event and presented to them the UNICAF Corporate Scholarship Scheme and the affordable payment plans on offer. It was a wonderful socialising opportunity for a good cause and the students enjoyed every second of it, as you can see in the photographs from the event.